This is the cheapest price for a Nice Vodka, a much better / smoother Vodka than Smirnoff imo , Enjoy! 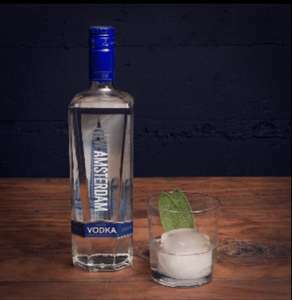 A premium Vodka with unparalleled smoothness, five times distilled to deliver a clean, crisp taste. It’s smooth enough to drink straight. Distinctive enough to enhance any cocktail. Prefer this over Russian standard absolut and of course smirnoff. Havent tried this. Usually go for Russian Standard. Was recommended Titos but found it just ok, nothing special. Least favourite would be Smirnoff although the blue label is good if you can find it. Havent tried this. Usually go for Russian Standard. Was recommended Titos …Havent tried this. Usually go for Russian Standard. Was recommended Titos but found it just ok, nothing special. Least favourite would be Smirnoff although the blue label is good if you can find it.